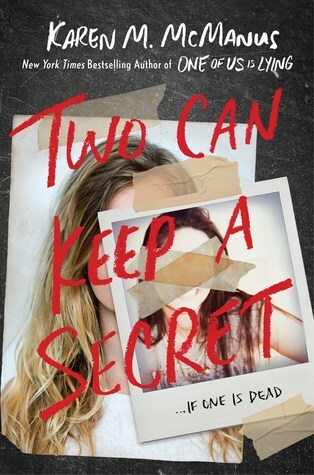 I’m currently reading Two Can Keep a Secret by Karen M. McManus. I’m almost to the 100 page mark and I’m really enjoying it so far. 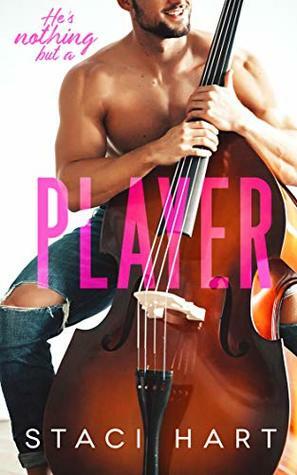 I recently finished reading Piece of Work & Player (RTC) by Staci Hart. While they can be read as standalones, they are part of the Red Lipstick Coalition Series. I liked both of these and finished them just in time for book three that comes out tomorrow! Like I said before, Work in Progress by Staci Hart comes out tomorrow (so if you need me, don’t bother) and I’m so freakin’ excited for Amelia’s story. 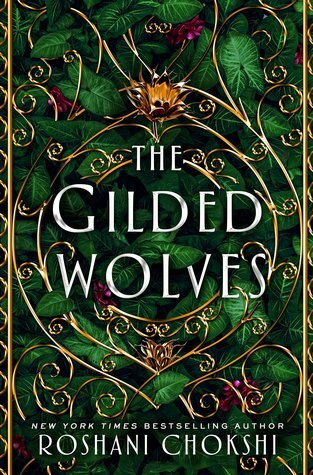 My ebook hold for The Gilded Wolves became available yesterday so I plan to read it before my loan is up. So here are the books that will be and that have taken over my days. I’m shocked I got The Gilded Wolves so fast! Hopefully your wait wont be as long either! I’m happy to hear you’re enjoying Two Can Keep a Secret. I loved that book! It’s so good so far! I can’t wait to see how everything will play out! I’m super excited for The Gilded Wolves. Everyone who I know that has read it, loved it! I have Gilded Wolves on my February Tbr. It sounds really good and the cover is gorgeous! I hope I can get to it while I have the library book! Fingers crossed! I’ve only read Cinder by Marissa Meyer, but I really want to read Renegades. Have you read that one? No, Heartless is actually the first book I’ve read by her. I just finished it and really liked it so I definitely want to read others. Did you enjoy Cinder? I’ve heard it’s not as good as her other books but possibly only because it was her first and she’s improved. I thought Cinder was okay. I hope her writing did improve because I really want to like Renegades. Happy reading for the week 💞. Thank you Priyasha! I hope you have a good reading week as well! I finished it two days ago and I really enjoyed it! I don’t get the negative reviews. I’ve heard so many good things about The Gilded Wolves, hope you enjoy it when you get to it! I’ve heard nothing but good things about The Gilded Wolves. I hope I can get myself to finish it before my loan is done! I’m excited for The Gilded Wolves, but I’m not sure when I will be able to read it. Me either honestly. My library loan came quicker than I expected and I’ve been on a real romance kick lately. My library is pretty slow when it comes to getting new releases, there probably won’t put out a copy for another month. I love the OwlCrate edition of The Gilded Wolves, so pretty! OMG Two Can Keep a Secret was so good!! Haha😁 I loved that book! It was so unpredictable! Yes it was! And I’m still shocked over the last line! Ooo I hope you love the gilded wolves! I just finished that one a week ago and absolutely loved it!!! That makes me so happy hear! I’m hoping a good read for me! I wasn’t a fan of One of Us is Lying BUT I’ve been hearing some good things about her second book. I may just have to give the author one more try. BTW, The Gilded Wolves is amazing. I hope you enjoy it as much as I did. This one was really good! I couldn’t tell who the killer was. I’, really hoping I can get to the Gilded Wolves for my loan is up! I neeeed to read Two Can Keep A Secret, but I have a bunch of books I need to read and review first, sigh! It will be my reward when I finish, though! When you get to it, I hope you enjoy it! It was really good! okay, I caved and started reading it already, haha. only a few chapters though! I’ve been good and reviewed 2 of the 7 books I need to get through, so I thought starting this one was positive reinforcement! I looove it already, I admit to eyerolling at how there always HAS to be a love interest involved but it’s great that you actually get why they hang out and how they click because they have similar experiences (on the flip side of the coin from each other, but still) and I’m rooting for them! I was rooting for them too! They had a lot of things connecting them together and I’m glad they can go through it together. I need to read the Gilded Wolves. I’ve heard so many great things about it. OMG me too! I’m so sad that I wasn’t able to get to it before the library hold ended!